When a task requires both hands as well as illumination, it becomes necessary to consider some form of hands-free lighting. 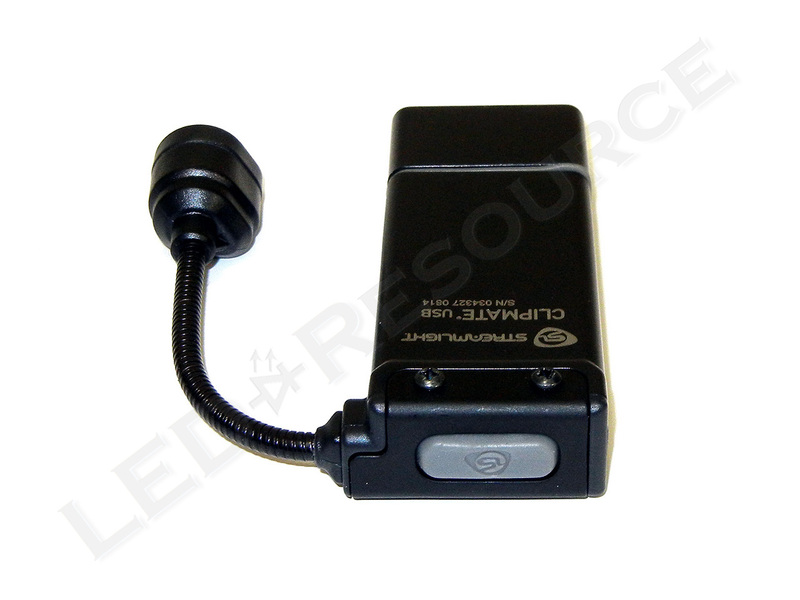 Unlike bulky work lights that may need to be frequently repositioned, or awkward looking headlamps that may be uncomfortable to wear, the Streamlight ClipMate USB is a compact light that can be easily clipped to hats or clothing, such as a shirt pocket. This light features a built-in rechargeable battery and USB charge tab, allowing it to be charged from any USB power source without any cables. 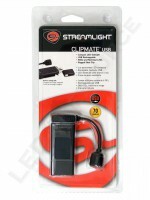 The Streamlight ClipMate USB has both white and red LEDs, as well as two output levels, for a maximum output of 70 lumens with a 3.5 hour runtime using the white led or up to 65 hours of runtime using the red LED. 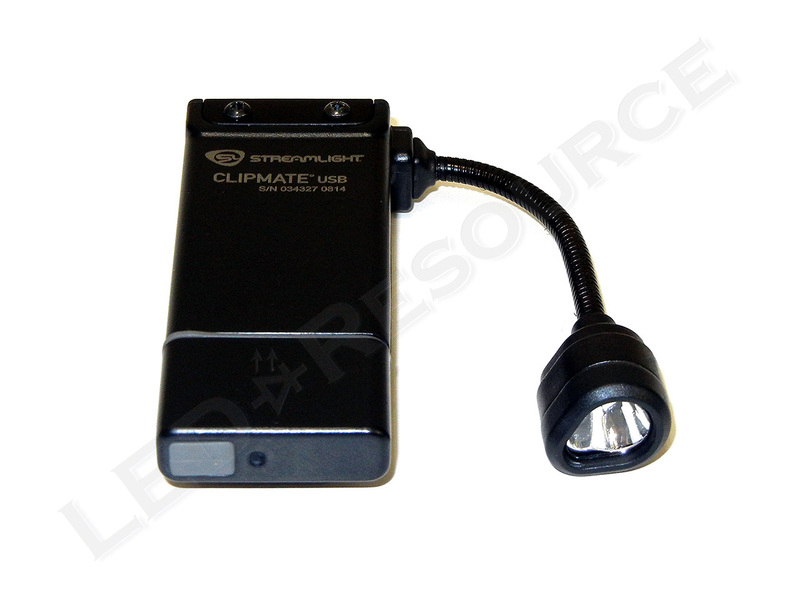 MSRP for the ClipMate USB is $55, and the light is only available in black. 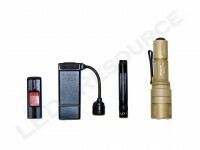 Streamlight offers various packages for their rechargeable lights, with choices for input voltage and charging options. 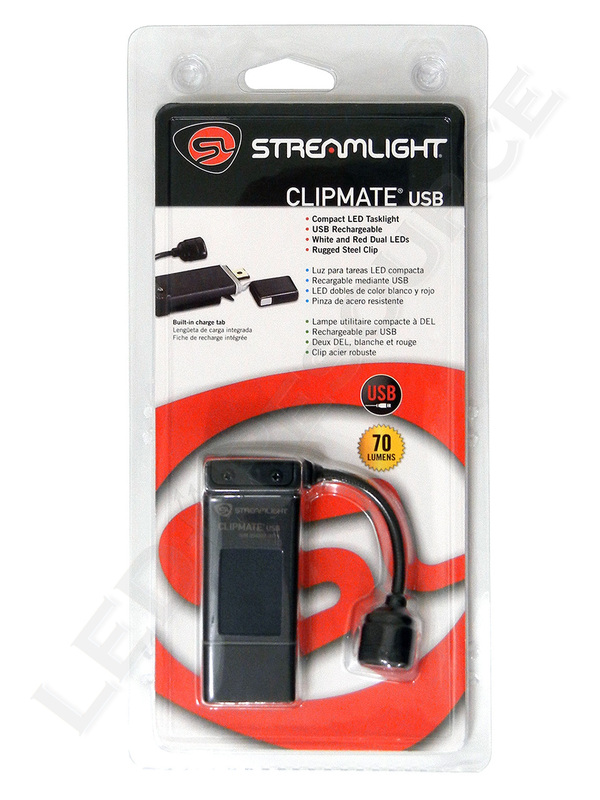 The most common package is the light only (item # 61125), and included in the blister packaging are: Streamlight ClipMate USB and user manual. An internal lithium-polymer battery, which is rated for 300 full discharge cycles with a 30% loss in capacity, powers the ClipMate USB. To recharge the light, simply remove the cover and plug the flat USB connector into any standard USB power source, such as a laptop or AC adapter. The red LED on the ClipMate indicates charge status (solid when charging, blinking when complete), and charging a fully discharged battery can take up to 2.5 hours using a 500mA USB power source. 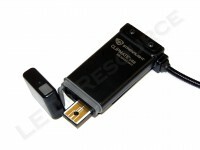 If the ClipMate USB was turned on when plugged in for charging, it will automatically turn off for charging and resume the previous output setting when unplugged. Dimensions of the ClipMate USB are 3.2” long, 1.4” wide, and 0.7” tall, which feels like an oversized USB drive and fits comfortably in the palm of your hand. 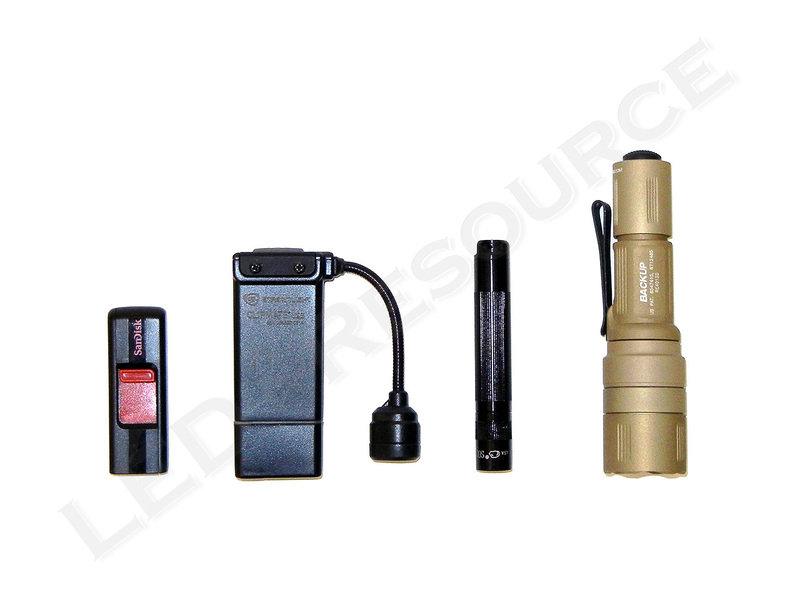 The light weighs just 1.9 ounces, and its lightweight polymer housing is sealed for IPX4 water-resistance. Attached to the housing with a flexible neck, the head has a polycarbonate window that protects a smooth plastic reflector. On the top of the light is an electronic click switch covered with gray rubber. 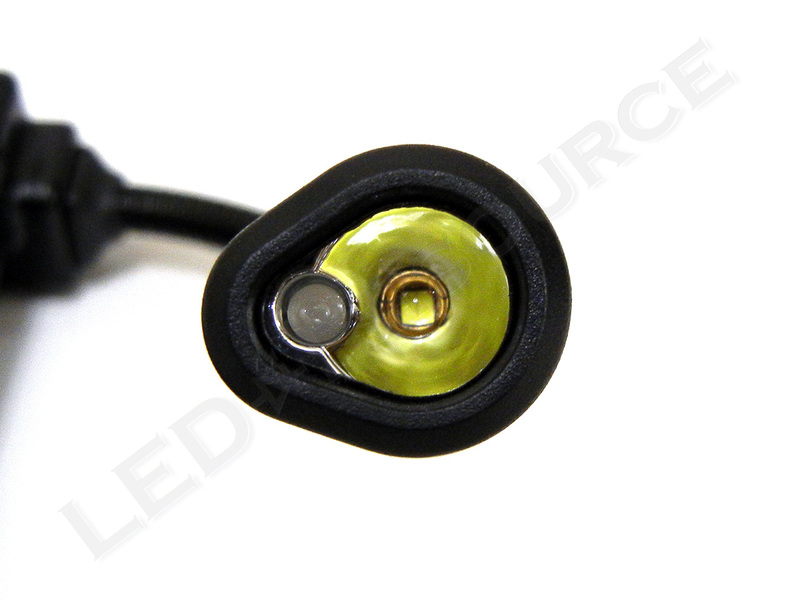 On the bottom of the light is the USB cover, which is attached to the rubber gasket on the body to prevent losing the cover. 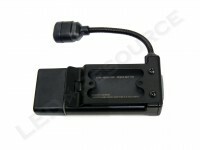 On the back of the light is a pocket clip and a summary of operating instructions engraved on the housing. 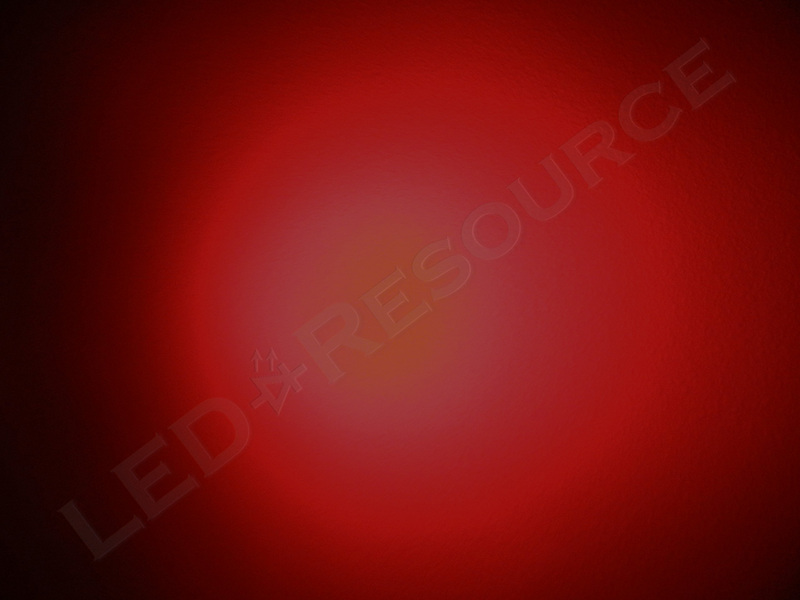 Two output levels from either a white or red light source can be activated from the switch. Simply press to change between low and high output, or press and hold to change between white and red light. 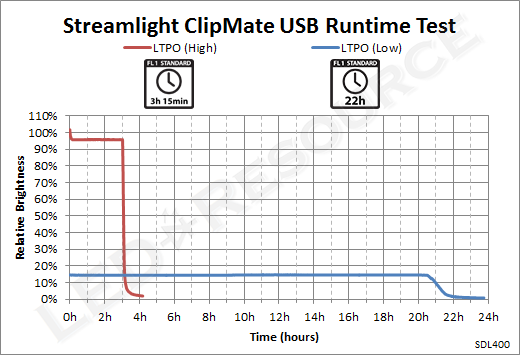 The ClipMate USB features mode memory and will remember the light source that was last used, but will always turn on in low output first and cycle through low-high-off. A single press will activate low output. Two presses will activate high output. Three presses will turn the light off. Using a Streamlight C4 LED (which is a generic term indicating a high-power LED) and a red 3mm LED, the ClipMate USB has a maximum output of 70 lumens. 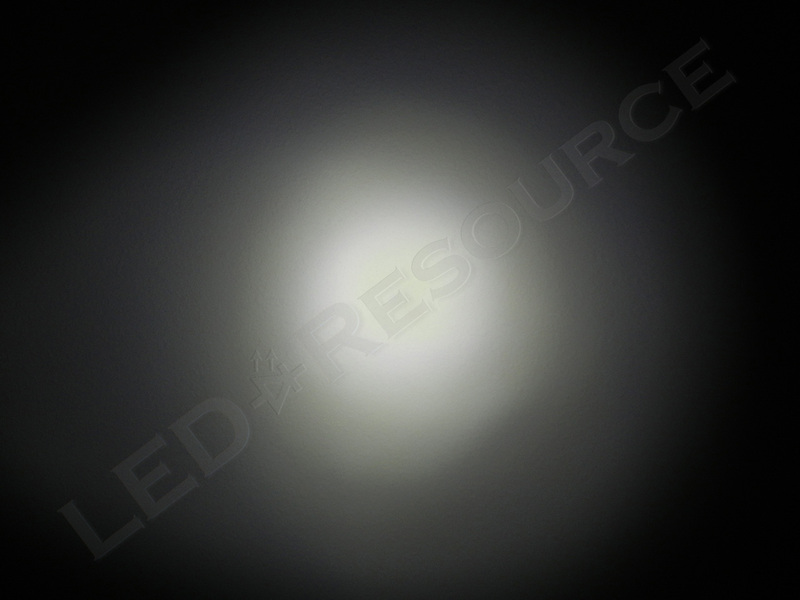 The shallow smooth reflector produces a relatively diffused beam pattern, which is slightly asymmetrical due to the dual-LED configuration. 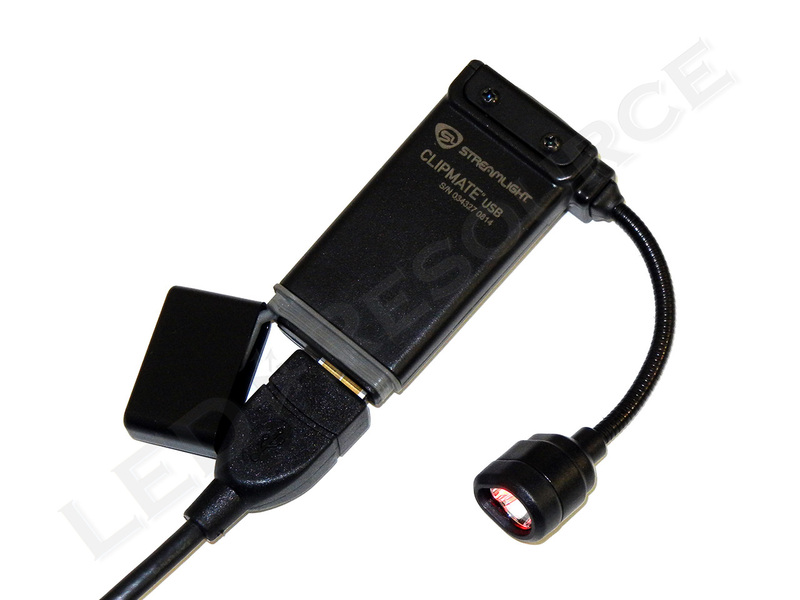 Only white light output modes were tested for this review, and the ClipMate USB maintains regulated output for both output modes to ensure consistent output until battery exhaustion. With a thin rectangular design, the Streamlight ClipMate USB fits comfortably in a shirt pocket and its two-ounce weight barely noticeable. For close- to medium-range tasks, the ClipMate USB produces a diffused beam pattern with a generous amount of white light at two output settings. In addition to dual output levels, which can also be switched to red light to preserve night vision and extend runtime, the flexible head allows light to be directed where needed without removing or repositioning the ClipMate USB. 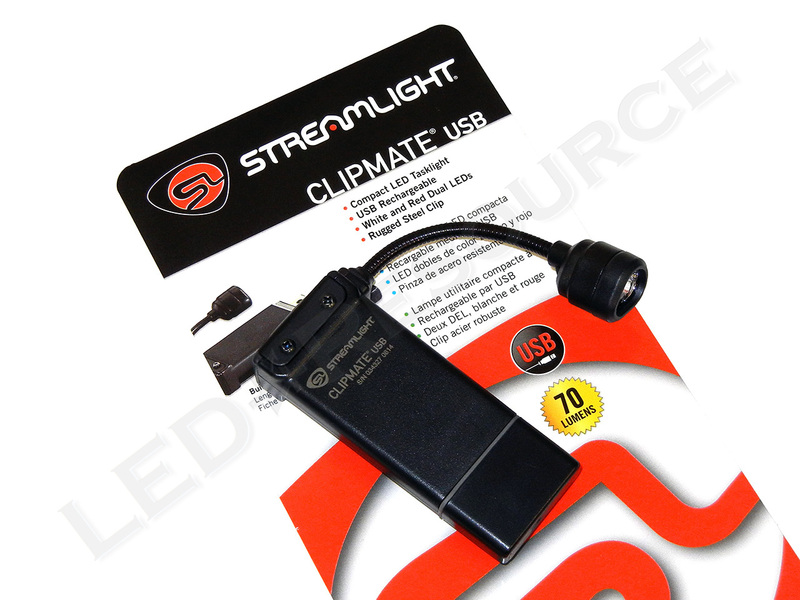 The Streamlight ClipMate USB is a hands-free light suitable for a variety of applications, which features a rechargeable lithium-polymer battery and built-in USB charge tab, making charging quick and convenient wherever a USB port is available. I had the pleasure of playing with this little guy at a local vendor. I feel it has huge potential but 2 things really stuck out. The PWM on low was very noticeable, and the cover for the battery was less than snug. The bending adjustment could use some love as well. Good review, I really like how you linked to the fact sheets on the bottom. Very helpful!